There is no fossil evidence to support the "ape-man" image, which is unceasingly promulgated by the media and evolutionist academic circles. With brushes in their hands, evolutionists produce imaginary creatures, nevertheless, the fact that these drawings correspond to no matching fossils constitutes a serious problem for them. Despite the fact that no complete "transitional form" fossil has ever been found, the theory of evolution is taught more than ever in classrooms around the world. We keep finding more and more huge burial sites of dinosaurs, which are supposedly 65 million years old, yet we cannot find a single skeleton of a half man, half ape, pre-human being. Such fossils should stand a much better chance of being preserved, since they would only be maybe tens of thousands of years old, not millions as with the dinosaurs (in the evolutionist's timeline). Now why do you suppose this is? Maybe simply because evolution never happened? If evolution were true, we would find at least thousands of skeletons of the "transitional" skeletons shown in the evolutionist drawing below. Now if I were a believer in evolution, I would need to seriously question my faith in the absence of any such skeletons. But since there aren't any such skeletons, one of the interesting methods evolutionists employ to overcome this problem is to "produce" the fossils they cannot find. Evolutionists present much of their finds as if they were compelling and factual explanations to human evolution. In fact, they base their conclusions on mere speculation and often the flimsiest of 'finds'. 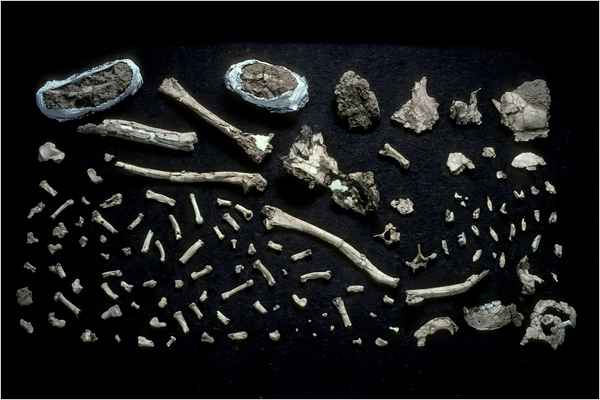 Many discoveries of supposed hominids consist of only a mouth fragment, a leg bone, a hip bone, or a knee joint. On this alone, they have considered it to be a hominid. They even name it, reconstruct what it looked like, and present it to the public as a fact. Some of these finds have turned out to be those of a pig, donkey, or the result of a hoax. Piltdown Man, which may be the biggest scandal in the history of science, is a typical example of this method. In 1912, a well-known doctor and amateur paleoanthropologist named Charles Dawson came out with the assertion that he had found a jawbone and a cranial fragment in a pit in Piltdown, England. Even though the jawbone was more ape-like, the teeth and the skull were like a man's. These specimens were labelled the "Piltdown man". Alleged to be 500,000 years old, they were displayed as an absolute proof of human evolution in several museums. For more than 40 years, many scientific articles were written on "Piltdown man", many interpretations and drawings were made, and the fossil was presented as important evidence for human evolution. No fewer than 500 doctoral theses were written on the subject. While visiting the British Museum in 1921, leading American paleoanthropologist Henry Fairfield Osborn said "We have to be reminded over and over again that Nature is full of paradoxes" and proclaimed Piltdown "a discovery of transcendent importance to the prehistory of man. In 1949, Kenneth Oakley from the British Museum's Paleontology Department, attempted to use "fluorine testing", a new test used for determining the date of fossils. A trial was made on the fossil of the Piltdown man. The result was astonishing. During the test, it was realised that the jawbone of Piltdown Man did not contain any fluorine. This indicated that it had remained buried no more than a few years. The skull, which contained only a small amount of fluorine, showed that it was not older than a few thousand years old. It was determined that the teeth in the jawbone belonging to an orangutan, had been worn down artificially and that the "primitive" tools discovered with the fossils were simple imitations that had been sharpened with steel implements.65 In the detailed analysis completed by Joseph Weiner, this forgery was revealed to the public in 1953. The skull belonged to a 500-year-old man, and the jaw bone belonged to a recently deceased ape! The teeth had been specially arranged in a particular way and added to the jaw, and the molar surfaces were filed in order to resemble those of a man. Then all these pieces were stained with potassium dichromate to give them an old appearance. These stains began to disappear when dipped in acid. Sir Wilfred Le Gros Clark, who was in the team that uncovered the forgery, could not hide his astonishment at this situation and said: "The evidences of artificial abrasion immediately sprang to the eye. Indeed so obvious did they seem it may well be asked-how was it that they had escaped notice before? "66 In the wake of all this, "Piltdown man" was hurriedly removed from the British Museum where it had been displayed for more than 40 years. In 1922, Henry Fairfield Osborn, the director of the American Museum of Natural History, declared that he had found a fossil molar tooth belonging to the Pliocene period in western Nebraska near Snake Brook. This tooth allegedly bore common characteristics of both man and ape. An extensive scientific debate began surrounding this fossil, which came to be called "Nebraska man", in which some interpreted this tooth as belonging to Pithecanthropus erectus, while others claimed it was closer to human beings. Nebraska man was also immediately given a "scientific name", Hesperopithecus haroldcooki. Many authorities gave Osborn their support. Based on this single tooth, reconstructions of the Nebraska man's head and body were drawn. 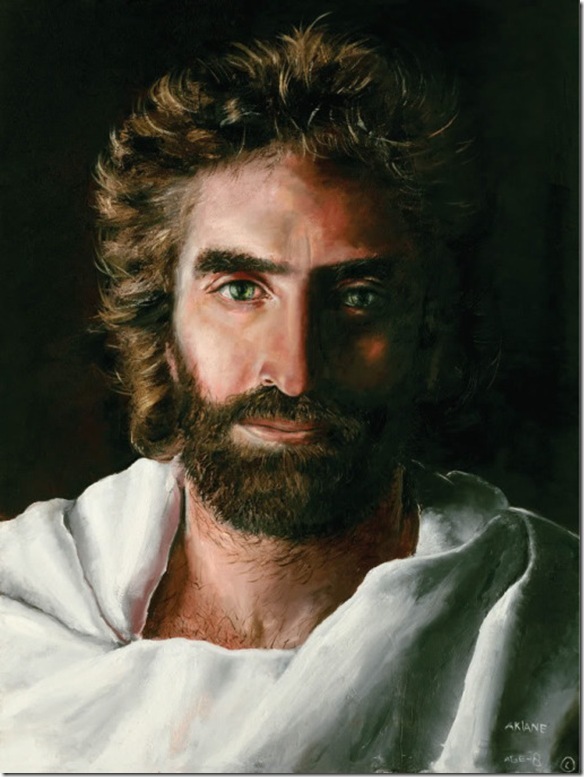 Moreover, Nebraska man was even pictured along with his wife and children, as a whole family in a natural setting. All of these scenarios were developed from just one tooth. Evolutionist circles placed such faith in this "ghost man" that when a researcher named William Bryan opposed these biased conclusions relying on a single tooth, he was harshly criticised. In 1927, other parts of the skeleton were also found. According to these newly discovered pieces, the tooth belonged neither to a man nor to an ape. It was realised that it belonged to an extinct species of wild American pig called Prosthennops. William Gregory entitled the article published in Science in which he announced the truth, "Hesperopithecus: Apparently Not an ape Nor a man. Then all the drawings of Hesperopithecus haroldcooki and his "family" were hurriedly removed from evolutionary literature. Piltdown Man, Nebraska Man, Ota Benga... These scandals demonstrate that evolutionist scientists do not hesitate to employ any kind of unscientific method to prove their theory. Bearing this point in mind, when we look at the other so-called evidence of the "human evolution" myth, we confront a similar situation. Here there are a fictional story and an army of volunteers ready to try everything to verify this story. Fossils discovered on the islands of Java in 1891 and 1892 were given the name Java Man (Pithecanthropus erectus). Fossils discovered near Peking (Beijing) in 1923-1927 were given the name Pekin Man (Sinanthropus pekinensis). In 1939, however, two experts, Ralph von Koenigswald and Franz Weidenreich, revealed that both were actually normal human beings. And Ernst Mayr from Harvard University had classified both as human in 1944. In addition, the size of the Neanderthal Man skull�200 cubic centimeters greater than that of present-day humans�reveals the invalidity of the claim that it was an intermediate form between humans and apes. A fossil skull discovered by Raymond Dart in South Africa in 1924 was initially depicted as a supposed ancestor of man. However, contemporary evolutionists can no longer maintain that it represents such an ancestor�because it subsequently transpired that the skull belonged to a young gorilla! The famous anatomist Bernard Wood stated that this fossil constitutes no evidence in favor of evolution in an article published in New Scientist magazine. A partial jawbone, consisting of two parts, was discovered by G.E. Lewis in India in the 1930s. Based on these two jaw bone fragments, claimed to be 14 million years old, evolutionists reconstructed Ramapithecus�s family and supposed natural habitat. For fifty years, the fossil was portrayed as an ancestor of Man but following the results of a 1981 anatomical comparison with a baboon skeleton, evolutionists were forced to quietly set it aside. Australopithecines are a group of extinct apes closely related to modern chimpanzees and orangutans. 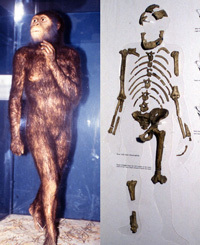 Although many evolutionists use the remains of these extinct apes to try to prove human evolution, the weight of scientific evidence indicates clearly that australopithecines, such as Ardipithecus (ARDI) and Australopithecus Afarensis (LUCY), were only primeval apes and not the evolutionary ancestors of humankind. This fossil, discovered in Africa in 1974, was widely esteemed by evolutionists and was the subject of some of the most intensive speculation. Recently however, it has been revealed that Lucy (A. afarensis) had an anatomy ideally suited to climbing trees and was no different from other apes we are familiar with. The French scientific journal Science et Vie covered the story in 1999 under the headline �Adieu, Lucy.� One study, performed in 2000, discovered a locking system in Lucy�s forearms enabling it to walk using the knuckles, in the same way as modern-day chimps. In a recent study, Tel Aviv University anthropologists determined that Lucy�s lower jaw bone is some kind of gorilla jaw bone. Other parts of the skeleton are just like the bones of knuckle-dragging, tree-climbing gorillas. Yet Lucy has been Evolutionism's poster child. Very creatively designed sculptures of Lucy appear in tax-funded museums, and these sculptures are hoaxes, not following the obvious ape-like bone structures, but rather dishonestly presenting Lucy as if she had human-like bone structures. This is typical Evolutionary flim-flam. Evolutionists fool themselves first because of their confirmation bias. Everything looks like part of the evolutionary dream, because or Evolutionism's presupposition. As a result, the evolutionary researchers concluded that Lucy should no longer be considered man�s direct ancestor. As is typically the case in the field of human evolution, a single bone structure overturns years of grossly exaggerated claims. In the face of all these findings, many evolutionist experts declared that Lucy could not have been a forerunner of man. See creation.com/no-more-love-for-lucy for more info. be largely speculative, i.e. guesswork, leaving free reign for evolutionary bias. The Ardi specimen is just another example of fragmentary evidence that's based on reconstructions wishful-thinking, hyperbole, and science-fiction without a demonstrative mechanism of mutational advance all the while ignoring evolution's splintered family tree and biological-genetic boundaries. 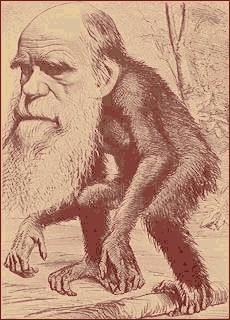 Due to lack of phylogeny, evolutionists continue to make frantic attempts to justify their failing hypothesis by submitting random press releases with imaginative fraudulent sketches of "alleged" primate to human links and links between other completely different organisms to an unsuspecting public. With their own imagination and a few disconnected scattered bone fragments, evolutionists expect the public to believe that these archaeologists understand how this creature walked (straight legged), what its diet consisted of (without evidence), how such great changes "must have happened" toward the development of humans and chimpanzees while other animal species that existed in Ardi's day are still alive today with little to no change. No wonder the mass public around the world laughs at Evolutionists and really do not take them seriously anymore. These are the actual Ardi bones found. "The research team have suggested that even if Ardi is not on the direct evolutionary line in terms of human origins, the fossilized skeleton will definitely yield new insights into the evolution of the earliest ancestors of mankind and how we evolved from the common ancestor we share with chimps, bonobos, gorillas and other higher primates." Translation: "We know this isn't a human ancestor, but we're exited anyway because we believe in evolution." Folks, these are just the bones of an extinct ape/chimp. 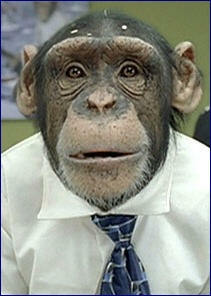 Don't let Darwinists make a monkey out of you!